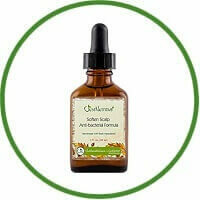 Ultra-Concentrated Scalp Fungal Formula uses potent ingredients that are quickly absorbed to improve the condition of your scalp and hair follicles. This lightweight formula penetrates, taking its nutrients and beneficial properties to the source of irritation with natural moisture to soothe and calm instantly. Deodorizers, Manuka, Tea Tree and Oregano essential oils help balance and neutralize any unwanted odours. This treatment for scalp fungus is made free of alcohol, free of artificial fragrance and free of other chemicals that could disturb your skins balance. Your scalp is left feeling calm soothed and refreshed naturally. Daily or leave-in overnight formula refreshes and soothes your scalp while you sleep.